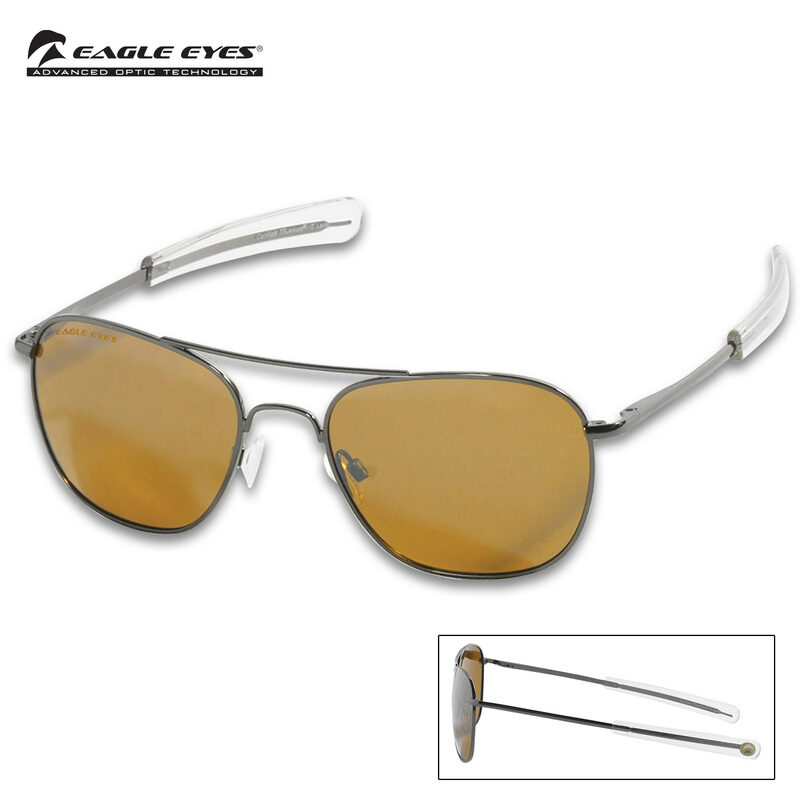 Eagle Eyes Freedom Gold Mirrored Sunglasses With Hard Case- Stainless Steel Frames, Polarized Lenses, Silicone Nose Grips | BUDK.com - Knives & Swords At The Lowest Prices! 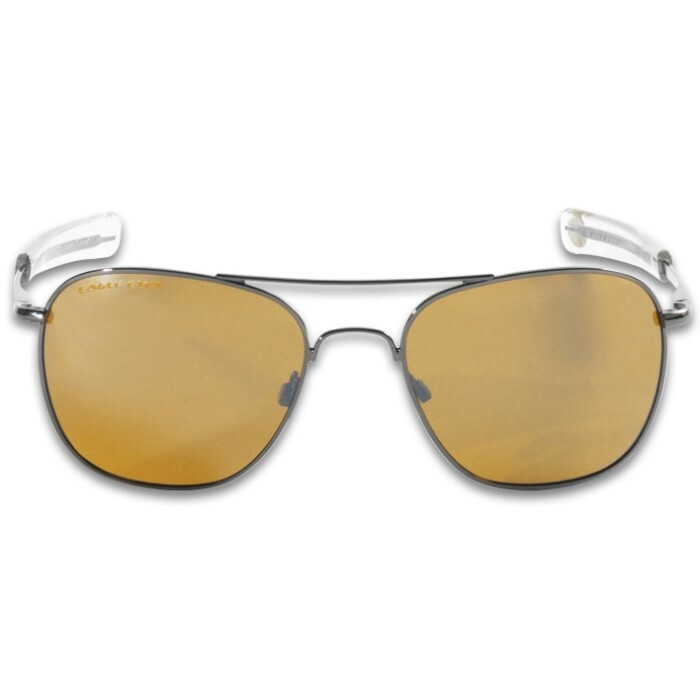 Inspired by the aviator-style sunglasses popularized by fighter pilots in World War II, the Eagle Eyes Freedom Gold Mirrored Sunglasses provide world-class vision protection and iconic American style and pay homage to the fearlessness of the men and women who have put their lives on the line for the sake of freedom. Perfect for the road, the beach, the sky and everywhere in between, the gold frames are crafted with stainless steel for lightweight durability. 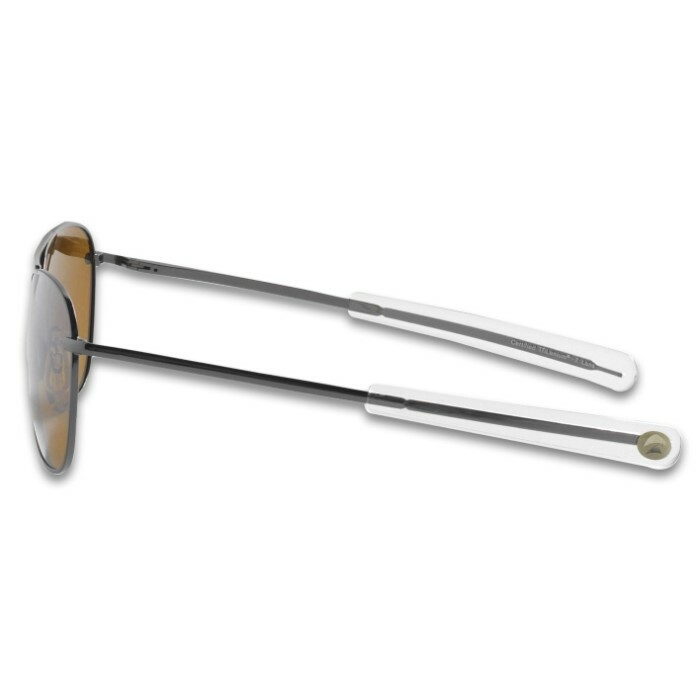 They are also equipped with soft, temple tips and adjustable silicone nose grips for all-day comfort. The lenses are 2 1/2”x 1 3/4 and feature TriLenium polarized lens technology, which was developed from original NASA optic technology to block blue light and 99.9% of UVA and UVB rays. These premium lenses also enhance clarity, definition and color, and have a proprietary anti-reflective lens coating to cut distracting glare. A microfiber soft cleaning case is included. With these stylish, high-quality shades, you have the freedom to keep your eyes on the road ahead, the horizon or whatever you set your sights on!